Patric Hornqvist – A productive player for years in Nashville despite playing in a defensive system, Hornqvist is being unleashed on the National Hockey League thanks to Sidney Crosby. 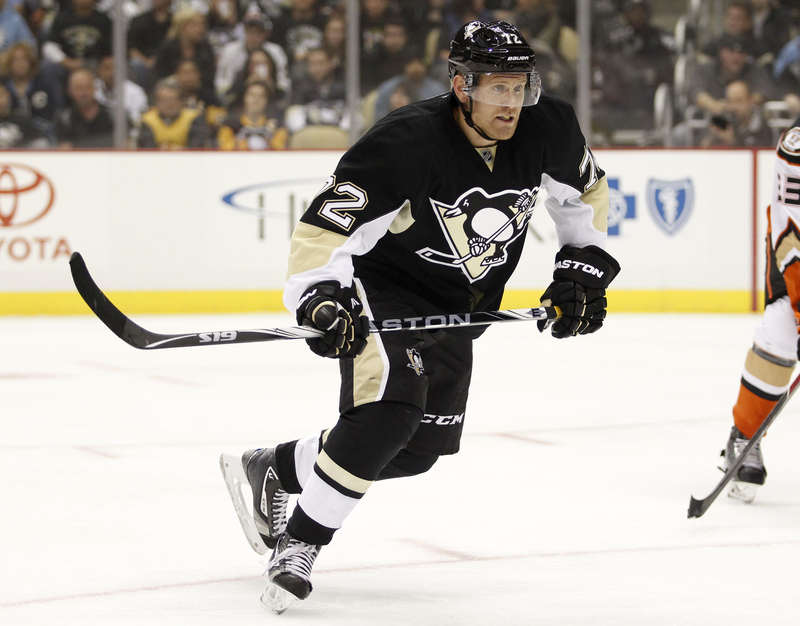 Currently the top ranked fantasy hockey player, Hornqvist is averaging 1 goal and 1 assist per game. With more games posting gargantuan shots totals like the 12 he had against the New York Islanders, Hornqvist is a fantasy MVP candidate. 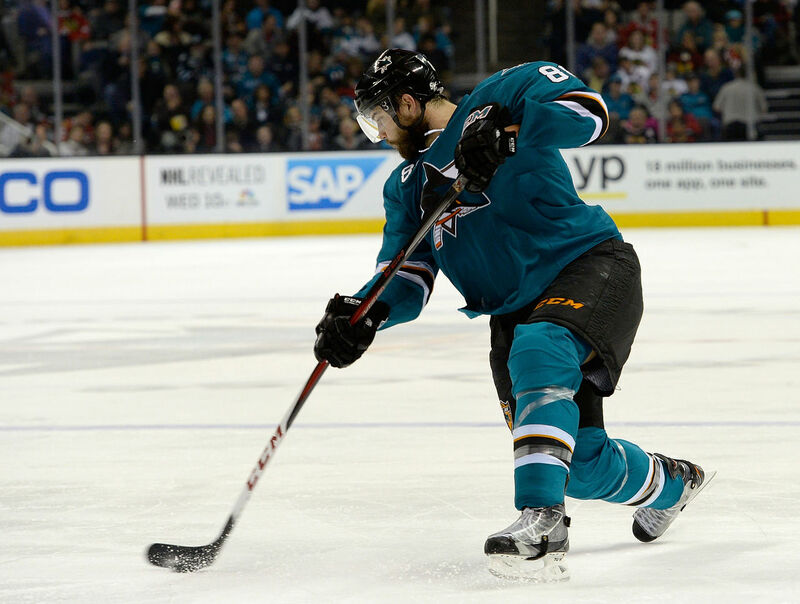 Brent Burns – One of the few rover players, with an ability to switch from forward to defence with ease, Brent Burns has started life back on D with a hot streak. Burns is filling the gap left by former PP QB Dan Boyle, as he has 7 points in just 5 games, in part due to 3 power play assists on the all forward top unit. 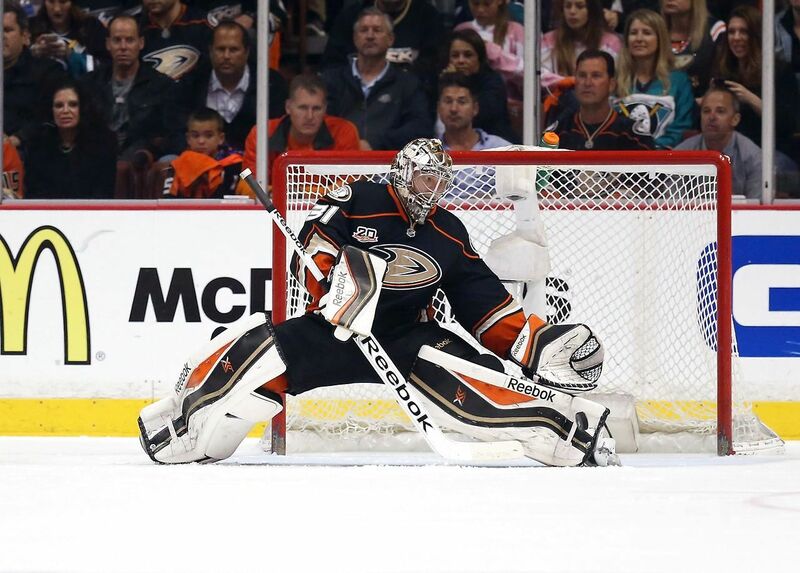 Frederik Andersen – With main crease time competitor John Gibson struggling early and finding himself in the AHL, Frederik Andersen has taken hold of the starter’s gig for the Anaheim Ducks. A league leading 4 wins, to go along with a sterling 1.72 GAA and 0.937 save %, Andersen is in a great position to be an elite netminder in front of a top Ducks team. 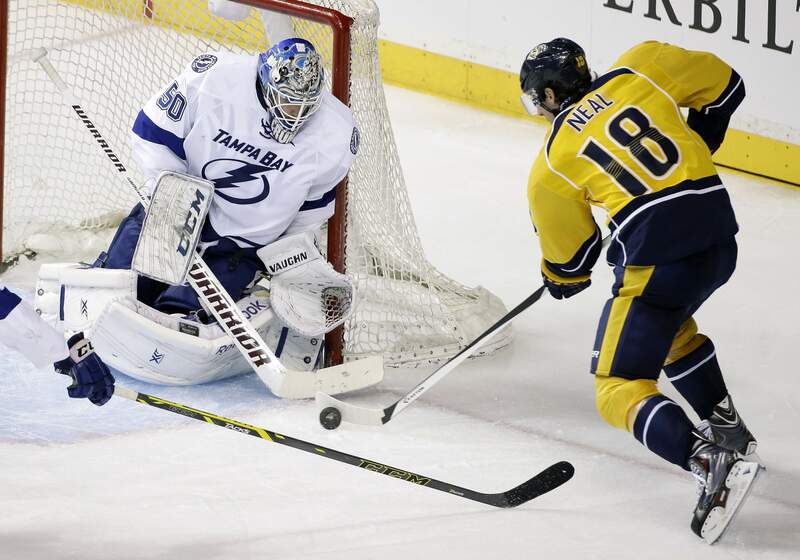 James Neal – Life has been revealing for James Neal as he’s not playing with Geno Malkin anymore. He’s on the top line with Filip Forsberg and Mike Ribiero, who are no offensive slouches, but Neal is clearly not getting as many chances to release his snipe job. With just one goal in 5 games, Neal should be more productive offensively going forward but the PPG days are no longer. 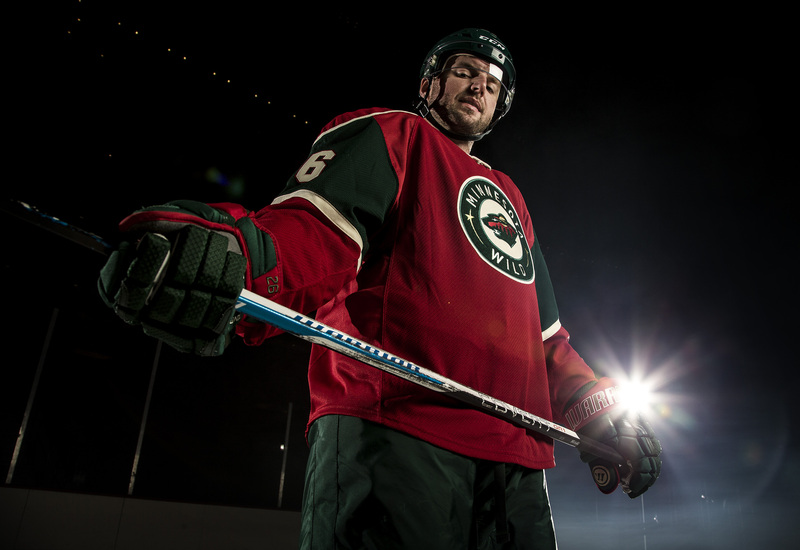 Thomas Vanek – Thomas Vanek can be a streaky scorer and has started the season with a cold streak. Vanek isn’t seeing time with Zach Parise or the top PP unit, so his usage has taken a dive from the Buffalo Sabres days. Just one assist in his first 4 games won’t cut it for fantasy poolsters, but he’s bound to start lighting the lamp soon enough. 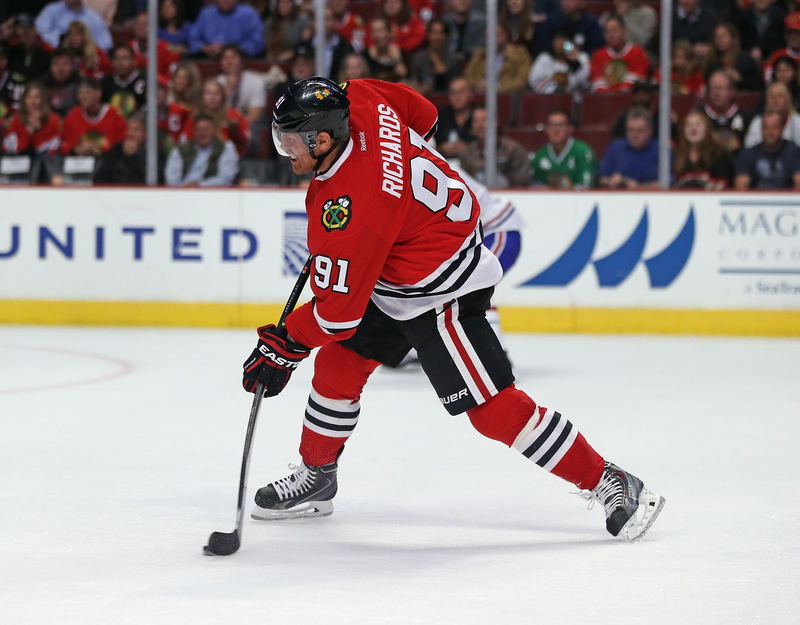 Brad Richards – A potential steal of the offseason, Brad Richards’s addition to the Hawks only signifies their embarrassment of riches up front. Hopes of second line center duties next to Patty Kane have been squandered in the early going as Andrew Shaw is currently filling that role. Predictably, Richards’ production as third line center has suffered with donuts in the first 4 games. 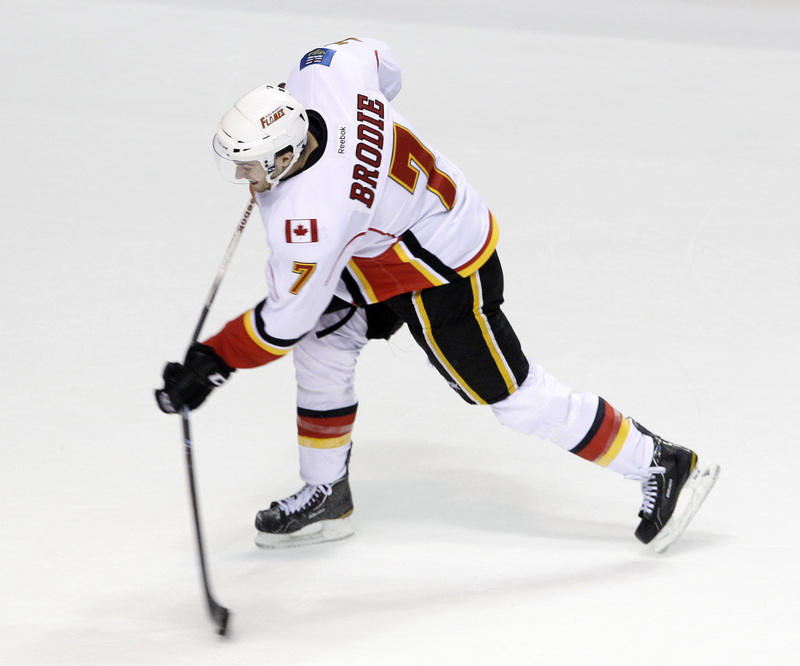 TJ Brodie – On the cusp of signing an extension to stay in Calgary, TJ Brodie is taking his game to the next level right now. He showed signs in his first full season last year, and he is proving his offensive abilities with a PPG pace early on. The goal scoring and power play points are a big bonus for fantasy poolies as well. Darcy Kuemper – When you open the season with back to back shutouts and NHL 1st star of the week honours, you know Darcy Kuemper is turning heads in the real life and fantasy hockey worlds. 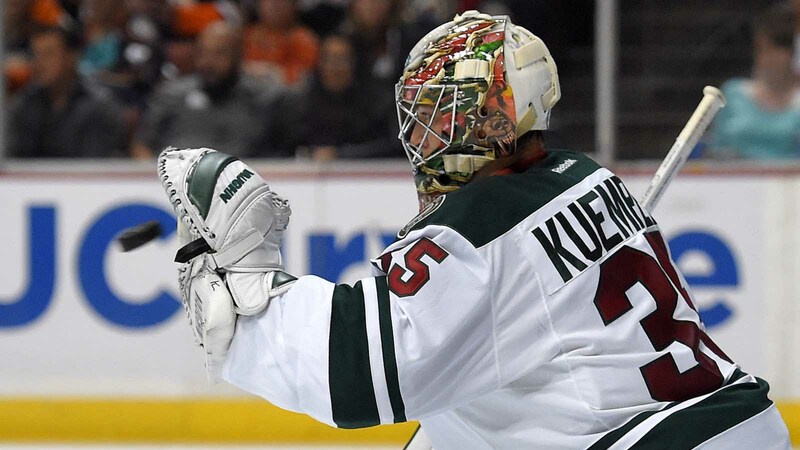 Competition in the form of Niklas Backstrom is there so be careful, but Kuemper is the future in net for a rising Minnesota Wild team, and in the first weeks of the season, it looks like the future is now. 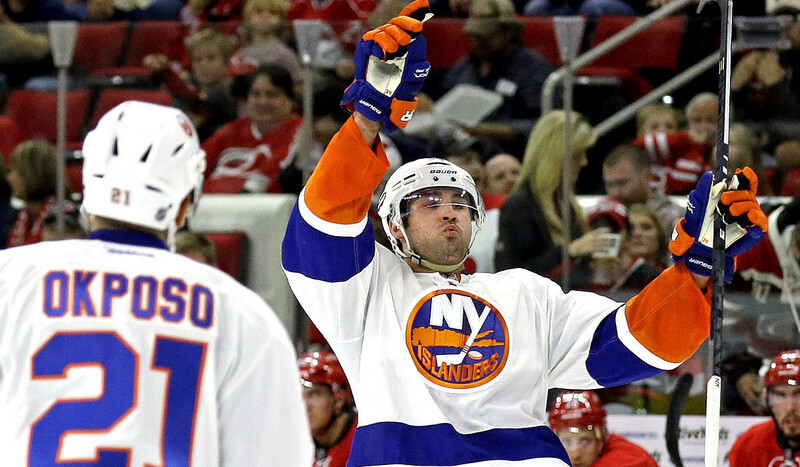 Johnny Boychuk – Dealt into a top pairing role on the Island, Johnny Boychuk is stepping up to prove he was being somewhat held back in Boston. Lining up on a PP unit with John Tavares only helps his cause, as Boychuk has cashed in with 2 goals and 3 assists on the man advantage. For leagues that count hits, shots, and blocked shots, Boychuk is doing it all so go out and grab him if he’s still out there.